Home » Cheats » Have You Guys Forgotten Airtel Weekend Data Plan? Have You Guys Forgotten Airtel Weekend Data Plan? 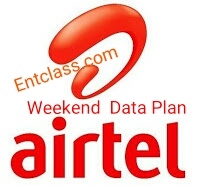 Hey guys, i know and am sure that most of you guys have forgotten Airtel weekend plan of 1GB for N100. Like seriously, Airtel is becoming sturborn on free browsing tweak, even the one am currently working on is disappointing me. Anyway is a way. Thats just by the way. Remember, there is still Airtel timely plan which you can read more here. And also, there is Airtel Night plans too which you can read more about here. So today, am reminding you guys of the Airtel weekend data plan. The downside about this plan is that, not all sims are eligible for the plan. Make sure you dial the code to confirm if you are eligible before loading a recharge card. If unfortunately you are not eligible, don't panic, kindly call their customer care and tell them to activate your line for Airtel weekend plan. The data can be used on all device even on pc via hotspot or universal modern. Are you going for this offer this weekend?